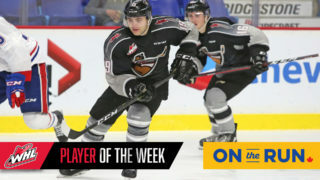 Tuesday night in Prince George the Vancouver Giants (34-13-2-1) skated to a 4-2 victory over the Prince George Cougars (16-30-3-2). 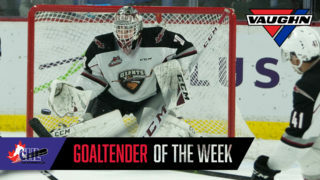 Davis Koch, Owen Hardy, Justin Sourdif and Bowen Byram all scored for the Giants while Trent Miner turned aside 20 Cougars shots to secure his 18th victory. 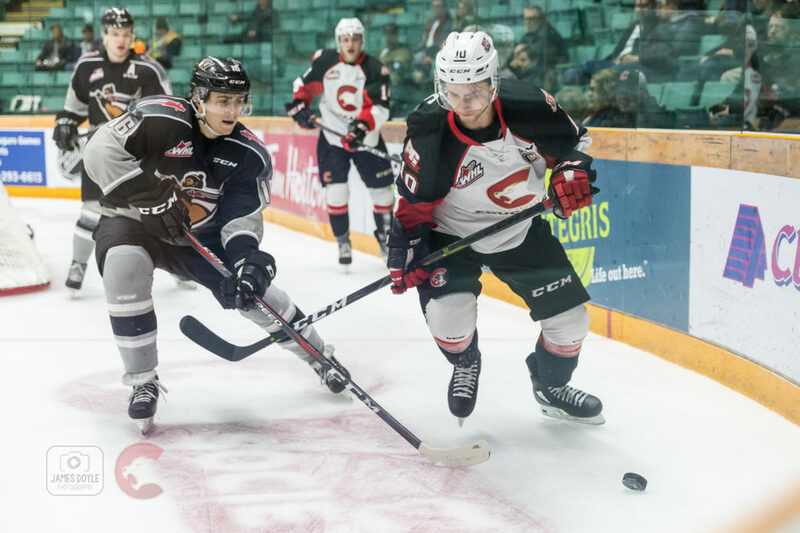 Josh Curtis and Vladislav Mikhalchuk responded with goals for the Cougars who have now dropped 10 straight. The win improved the Giants record to 6-1 on the season against Prince George and moved them 18 points up on Victoria for first in the B.C. Division and five points back of Everett for first in the Western Conference. The Giants are now 6-1 on the season against Prince George and are 3-0 against them on the road. It was also the second straight 4-2 victory for the Giants against Prince George. 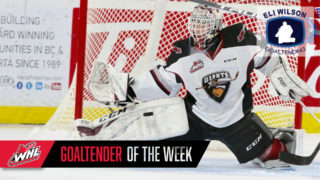 Trent Miner (who turned 18 today) improved his season record to 4-0 against the Prince George Cougars with a 1.75 goals-against-average and a .935 save percentage. The Giants are 21-1 this season when leading going into the third period. 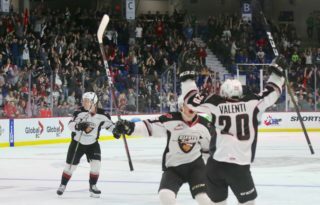 The Giants improved their record against the B.C. Division to 18-3-1-1 and their road record to 14-8-1-0.